Day 351 – It is Really Blue! ’Twas the bewitching, sweet, stown glance o’ kindness. Queen shall she be in my bosom for ever. And thou hast plighted me love o’ the dearest! Sooner the sun in his motion would falter. This entry was posted in 365 Day Photography Challenge and tagged 365 Photo Challenge, blue, even more flowers, flowers, iris, more flowers by Cyndi the BookChick. Bookmark the permalink. Cyndi, this is such a beautiful and elegant photo, I’m truly impressed with the color and the perfect focus!! 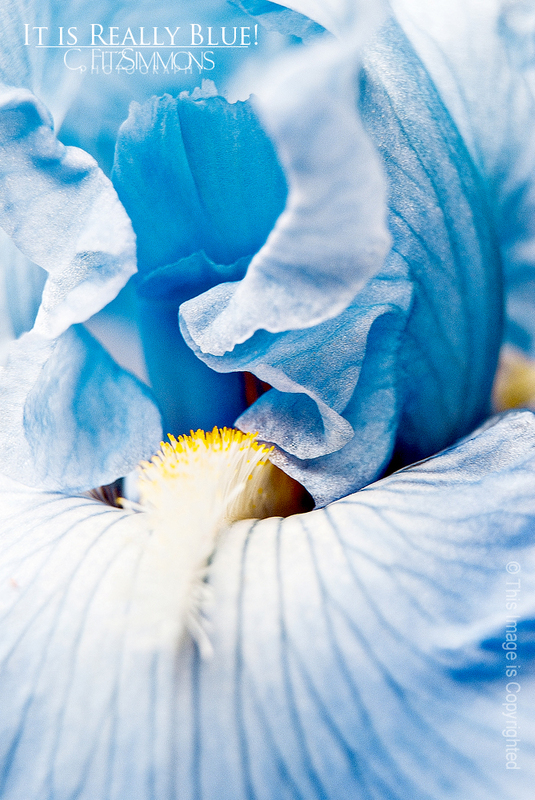 I have not seen irises in this color before – usually I see various shades of purple, but this one was a true blue! Amazing! You know, I could take 500 photos of irises and never get sick of them! Thank you for your sweetness, Antoinette!